Staying on Hilton Head Island for your next vacation? Planning a round or two of golf? Then you definitely need to read this list. 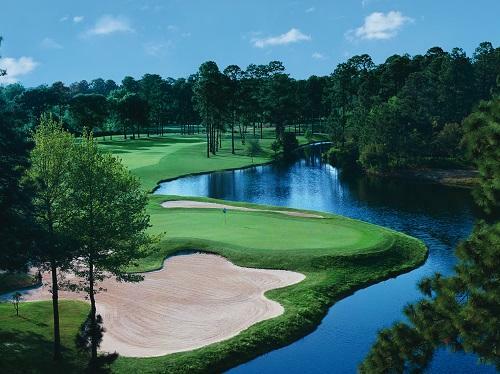 Our golf experts rated Hilton Head’s golf courses and following are their picks for the best and most challenging holes on the island. 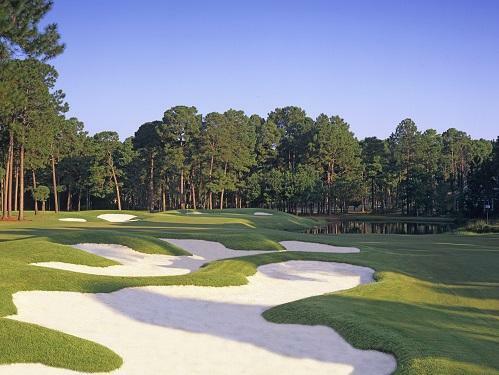 There is no doubt that this would come down to two holes, in my opinion: Harbour Town #18 and Robert Trent Jones #10. 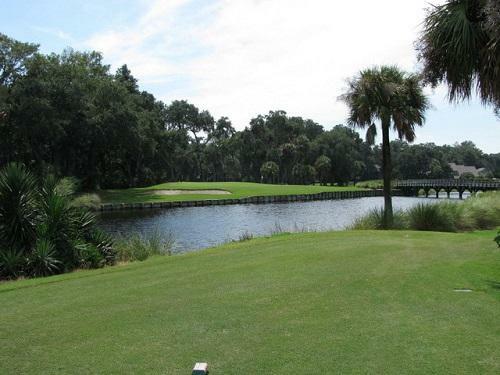 Alas, there must be a winner and we will strike up the win for the 18th hole on Harbour Town Golf Links. Most people have seen this picturesque hole during coverage of the RBC Heritage golf tournament held each April, but few have taken the time to experience the sheer beauty while standing on the tee box. With the Calibogue Sound to the left, and million dollar condos to the right, it is imperative that the fairway be found off the tee box. 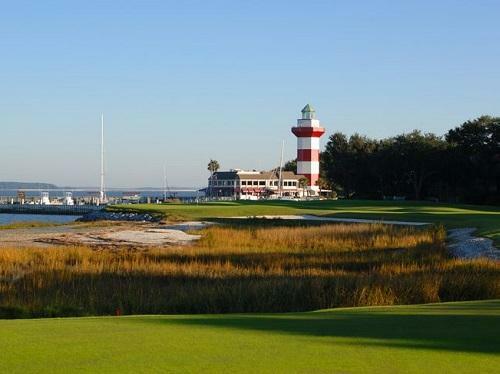 If that doesn’t get your attention, the clamoring image behind the green of the Harbour Town lighthouse feels as if it is staring you down in order to ensure that a birdie opportunity is missed. This is the one hole that you feel like all eyes are on you, and for the most part, they are. This hole consistently plays 175+ into the wind and over water. The final three holes on this course are exceptionally challenging as they almost always play into the wind. After you conquer or shudder into the shadow of #16, the second challenge begins at #17. The tee box will show a small green, over the waterway that winds its way through Palmetto Dunes, which on average will be 190+ away from your current standpoint. The wind whips in and out of the channel created by the trees and the embankment, creating a swirl effect on the golf ball. More importantly, time it just right and you will see the owner of the $2.5 million dollar home standing on his porch to ensure that your duck hook doesn’t leave any broken windows. Or to ensure that you don’t jump in his heated pool during the cooler days. Even a slight miss will take its toll on the player, for once you get to the green, the shelf on top of the green will require a masterful putt to ensure that the ball doesn’t roll off what it just went up. This course will normally have the players tee off on #10, and the third hole in will be your first par 5 of the day. If you can turn the slight corner over the bunkers on the left side of the fairway, you will be in fantastic shape to go for the green in two. A slight hill on the backside of the fairway bunkers will funnel the ball down an extra few yards and reward an aggressive and well played tee shot. If the pin is located in the back right of the green, only a sucker would go for the pin, but the green is normally reachable in two if you can position yourself in the fairway off the tee. Again, somewhat of a loaded question, and the answer could be any of them. But the one that stands out is Harbour Town #13. With the combination of the requirements off the tee, that being to stay on the right side of the fairway, if you land in this bunker you better have a great sand game. Any errant tee shot will almost always lead a ball in the bunker, which is one of the toughest on the PGA Tour. The bunker will punish any low lofting shots and send the ball back into the bunker bouncing off the wooden planks that surround and protect the green. If you are lucky enough to get out of the bunker, you’ll find a strong reminder of just how perplexing the bunker is with help of a wooden ladder being required to exit the bunker and find your feet hitting the putting surface. A classic Jack Nicklaus designed course, Golden Bear presents its challenges to all, but might be the most player friendly course on the island. It can be played long or can be played short. For the big hitters, there are holes that can be challenged to reach the green in 1, however the Driver can stay in the bag most of the day with easily accessible holes found all around. Forget power, precision and finesse are the only things required to find the greens in regulation when it comes to Golden Bear. 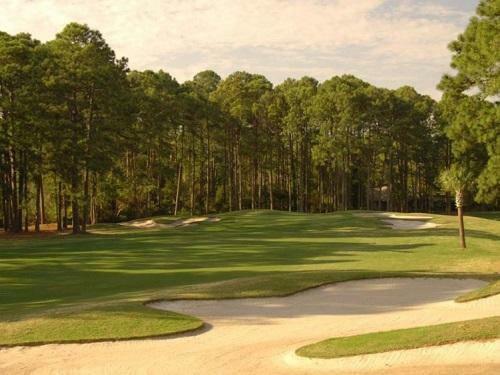 There are a few that come to mind, but the top three in my opinion include Harbour Town, Arthur Hills – Palmetto Hall, and Bear Creek. Each one of these courses plays extremely narrow and punishes any errant tee shots. If you are lucky enough to be able to find your ball off the tee, we will sincerely hope it’s in the fairway as the rough on all three of these courses will swallow up any golf ball. And if you’re able to find your ball, your club will be captured by the ludicrous length of the rough when you go to untangle the ball from the grips of the long grass. Skilled shots off the tee and from the fairway are the only way to play these three courses. If you catch yourself in trouble at first, you will certainly not be able to recover by scrambling, but rather picking up and moving on to the next hole. Once you finally make it to the putting surface, the magical mysticism that is the undulation of the green surfaces will have you baffled if not screaming to slam on the brakes as you hit your ball past the assumed break. 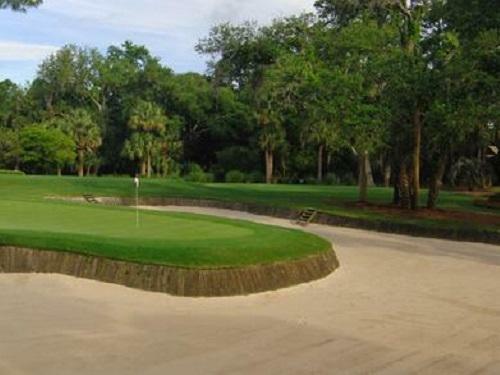 Now you have some behind the scenes knowledge on Hilton Head Island’s golf. Good luck and go play!